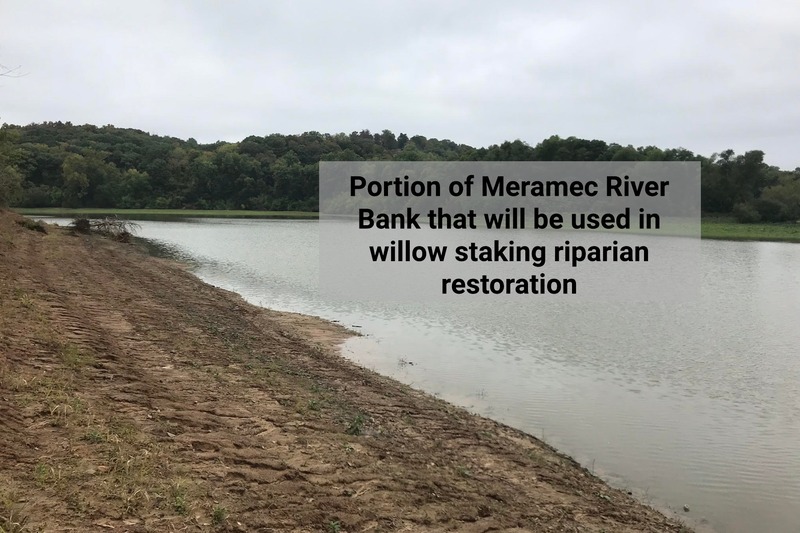 Join the Open Space Council for a series of volunteer workdays to implement a willow staking project along the riverbank at Lower Meramec Park. 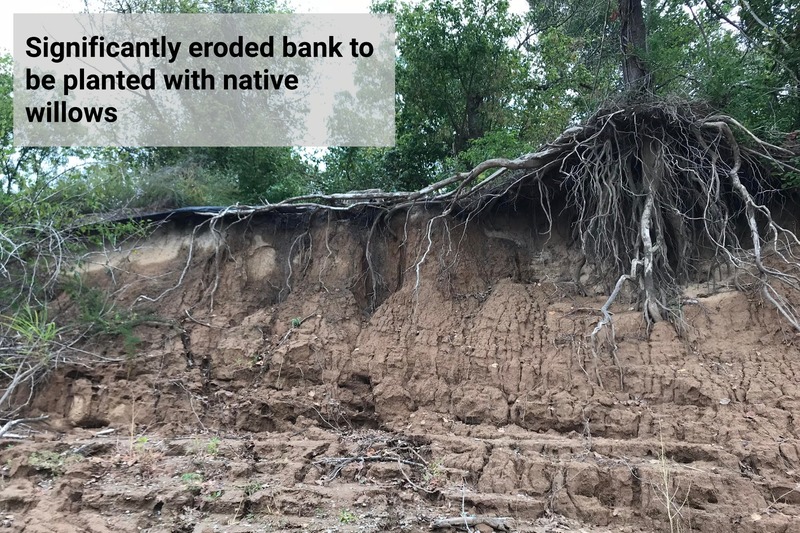 Willow staking is an innovative technique that helps stabilize eroding riverbank by providing a natural plant root system. Volunteers have the opportunity to participate in several work days, each focusing on a different step of the process. Tuesday March 5th – Willow Harvest at George Winter Park. Volunteers will cut, sharpen, and prepare willow stakes for transport. Register here. Saturday March 9th – Willow Staking at Lower Meramec Park. Volunteers will install willow stakes into the holes on the riverbank. Register here. These workdays are excellent hands-on learning opportunities for conservation professionals, land owners, and members of the public interested in ways to combat erosion with natural plant solutions. Volunteer efforts will help improve wildlife habitat in the park and stabilize the barren riverbank along this stretch. These workdays will require volunteers to have strength, endurance, and a passion for restoring our parks! You will find more details about each event on the individual event registration pages. However, for all workdays we highly recommend volunteers come dressed to get wet and muddy. Volunteers should dress for the weather and wear close-toed waterproof boots. Due to the terrain at the clean up site, we ask that all volunteers are at least 18 years old. Work gloves and some tools will be provided. In case of severe inclement weather, these events have backup days listed on individual event pages. Special thanks to Great Rivers Greenway District, St. Louis County Parks, private funders, and Open Space Council members for their support! June 15th: Paddle for a Cause!